In addition to acting as a decorative protection barrier, facings serve an integral part of the overall insulation system. Facings provide vapor barriers, light reflectivity and structural strength. In some cases, a reinforcement of fiberglass scrim is used for extra rigidity and greater impact resistance. The main function of facings is to act as a vapor barrier. While a vapor barrier may not necessarily be able to stop the flow of water vapor, it does an excellent job of minimizing the rate and volume of the flow. This prevents moisture from accumulating within the insulation blanket and the structure, which translates into consistent thermal values and lower heating and cooling costs. Facings intended to serve as vapor barriers should be installed on the inner, heated surface of the insulation, where vapor pressure is the highest. This helps in preventing vapor from reaching the cooler air and condensing. The perm rating, or permeance, is a measure of the amount of water that passes through one square foot of material per hour. The lower the perm rating, the more effective the barrier. A facing material with a perm rating of 0.1 or less is considered excellent. Anything with a rating above 1.0 is not considered a vapor barrier. 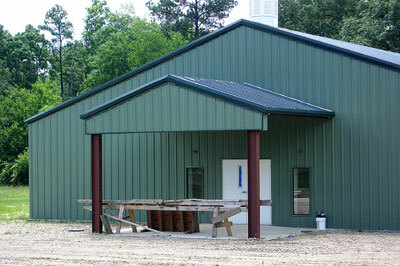 Metal Building Depot provides the highest quality products available. However, proper installation and selection is imperative for maximum effectiveness. Please refer to installation instructions to ensure correct procedures are used. Facings that have been torn or punctured are no longer capable of blocking water vapor and may eventually do more harm than good. Be sure to quickly patch any holes in the vapor barrier. When selecting a facing, special consideration should be given to its reflective quality. A facing with high reflectivity reduces the need for high light levels in work areas. This results in reduced energy costs and increased productivity. Although the fiberglass insulation itself is not affected by cold weather, the facing is. Colder temperatures can cause cold crack, a situation where the facing becomes brittle and if handled can crack. Bay Insulation recommends that vinyl faced fiberglass products never be installed in temperatures below 40 degrees. VAPOR BARRIERS PREVENT VAPOR FROM REACHING COOLER AIR AND CONDENSING. Need More Information? We have detailed specifications on many different facings below!